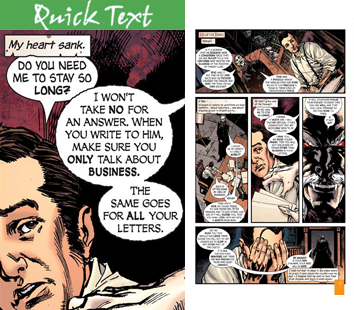 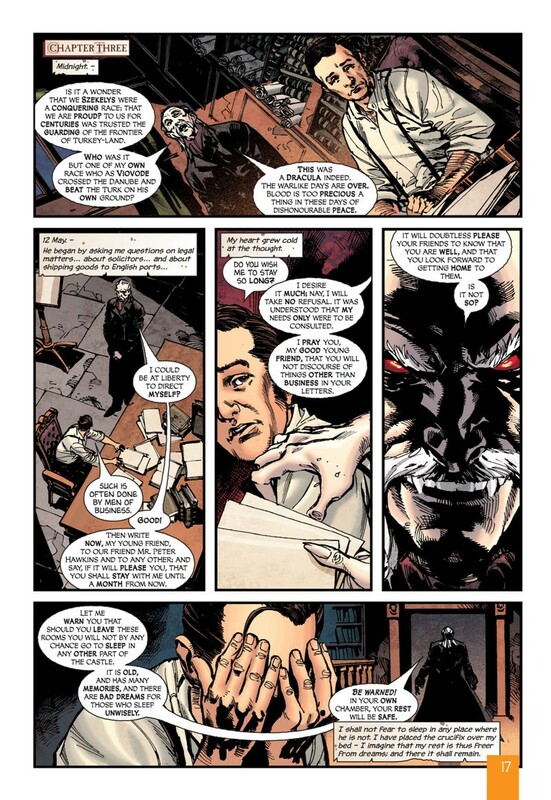 Both full-color graphic novels feature comic book style illustrations throughout, a character list (Dramatis Personae) and information about Abraham Stoker. 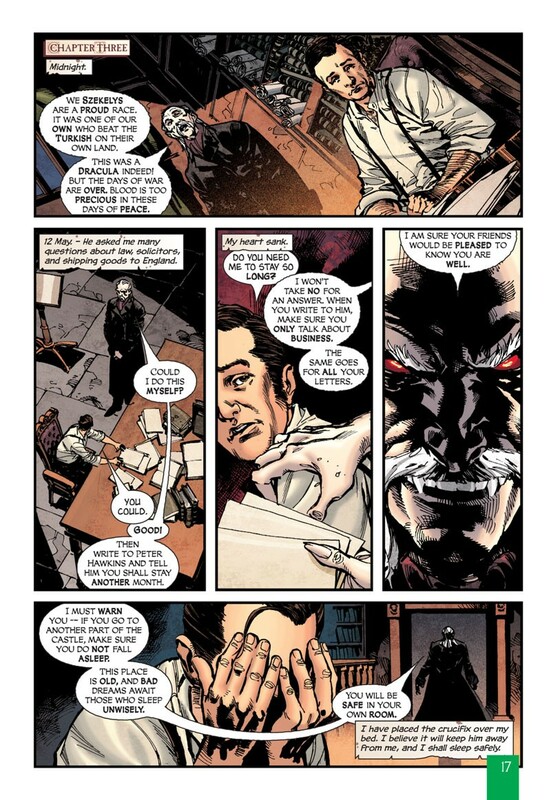 Locked in Castle Dracula, Jonathan Harker believes he will never return home to his beloved Mina. 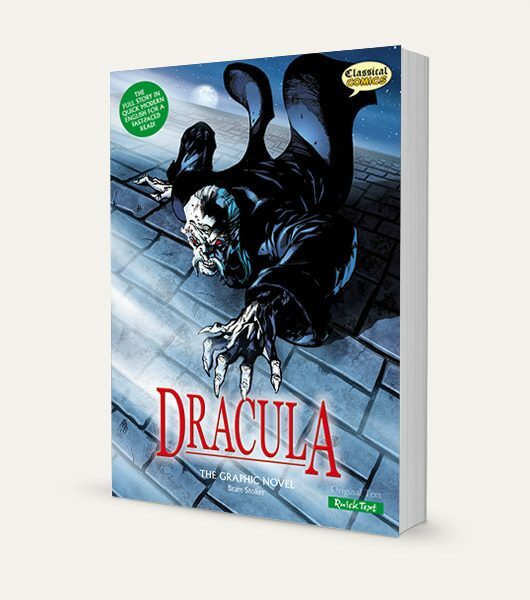 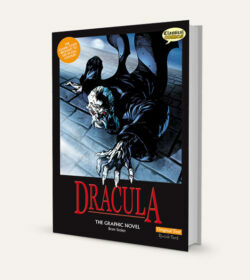 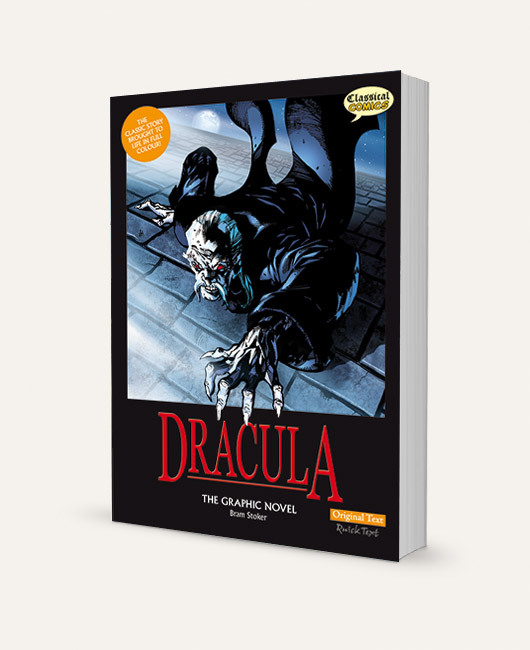 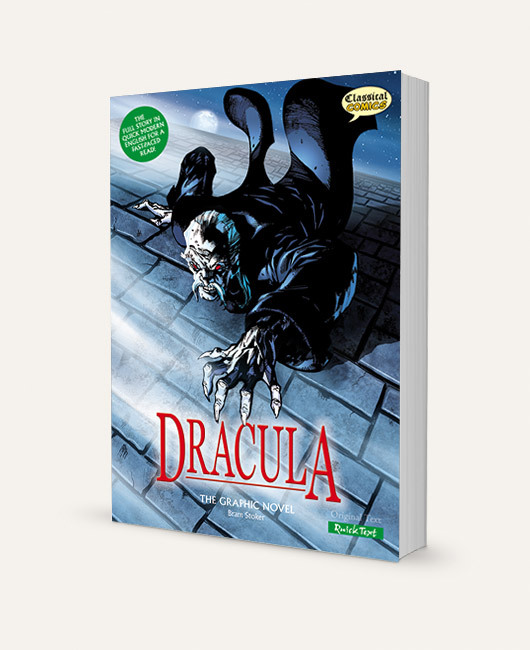 He becomes involved with Van Helsing’s plot to destroy the Prince of Darkness – for the benefit of all mankind. 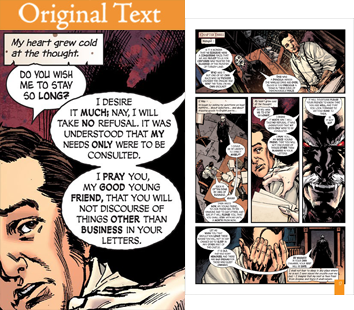 Click on your chosen text version below to download your free 9 page sample!